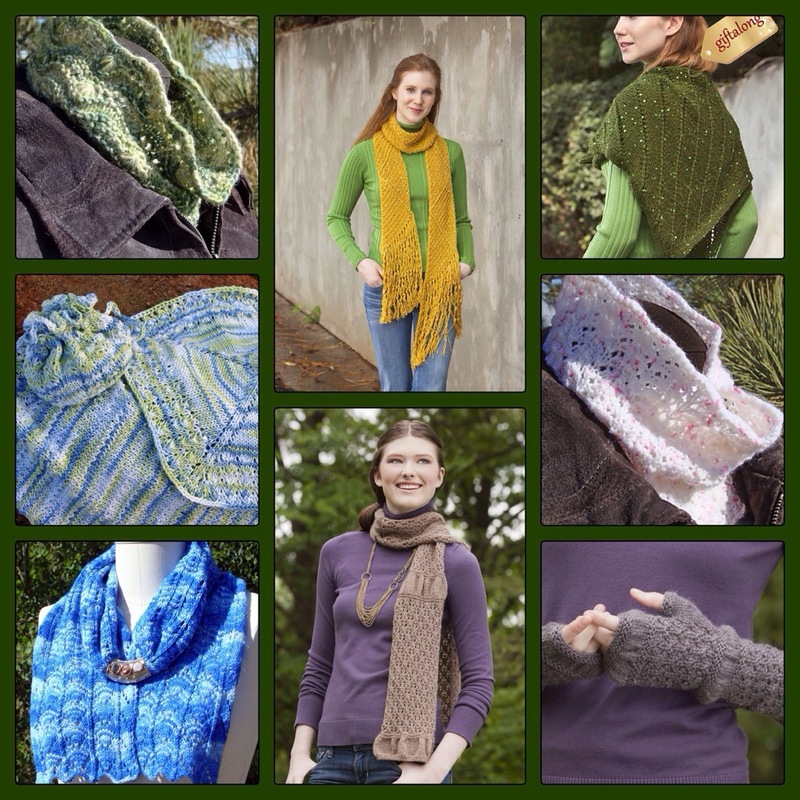 Well, I am a lifelong knitter – crafter really. My mother taught me all types of needlework beginning at a very young age. Over time, I pretty much settled into knitting and crochet because the projects are portable and both skills are really versatile. I still have my sewing machines but they don’t see a lot of use these days. My design ‘career’ started when I showed a sweater I had done to my LYS owner – I had purchased the yarn from her. She liked it so much that she displayed it in her shop for several months (until I needed it for winter), and encouraged me to write up my designs and sell them. My family & friends were also encouraging me so I took the first steps toward self-publishing my work. Then I saw a submission call for DRG Publications (now Annie’s), and was pleasantly surprised when my submission was accepted. The project was my Frilly Prilly Poncho. My husband is supportive of my desire to work toward doing knit design full time and is helping me turn a spare room into an office/studio. When I’m not working on new knit designs I do accounting for a couple nonprofits; have been learning web design and working with a couple small yarn companies on their web sites, along with the web site for the vintage motorcycle trials group my husband is involved with. I also take care of our 5 dogs and 10 fainting goats. There is never a dull moment around our house! What inspires new designs for you? I think the world is full of inspiration. Nature provides both color and form. Architecture, especially old buildings, provides structure and surface design. Sometimes a thought or feeling will be the inspiration for a new pattern. Do the details come to you first, or do you think of the general outlines of the finished object first? Usually I come up with the general outline first, then fill in the details. Although there have been times when I become fascinated with a particular stitch pattern and I start with that. Are there one or two of your designs that you’re proudest of? That’s a hard question – I love all my designs! 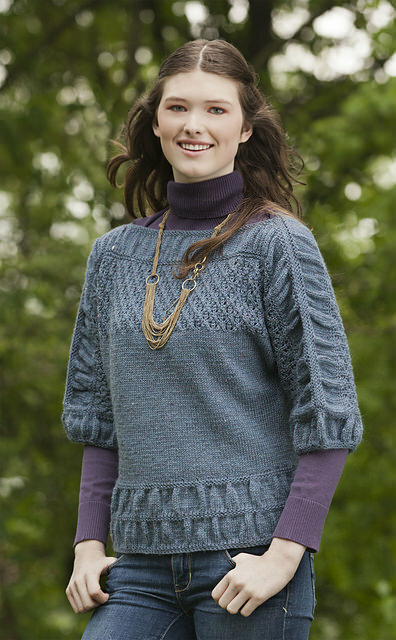 If I had to pick just a couple though, I’d have to pick my Darling Darby Sweater and Pelerine Dolman Sweater. 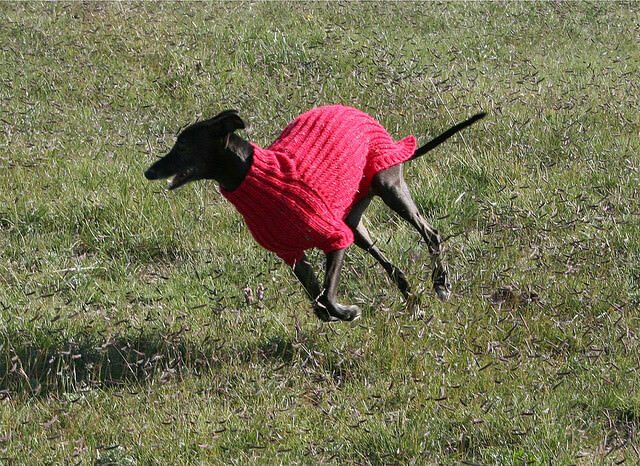 Darling Darby is the cumulation of many years working on the right style & shape for a dog sweater that really fits the dog. And I love how Pelerine Dolman works with both casual or more dressy outfits. What attracted you to joining in with the Giftalong? I think the idea of several designers working together on the project is what first attracted me. What have you enjoyed most about the Giftalong? Have there been any pleasant surprises? Getting to ‘meet’ so many other designers have been a real joy, along with the interaction with the GAL participants. And learning about different marketing ideas & methods. While I hoped that the designs I included in the GAL would gain some notice, I was a little surprised, and pleased, with the attention my other designs have also had. It was a pleasure! I ended up buying several patterns myself and recently finished a hat.